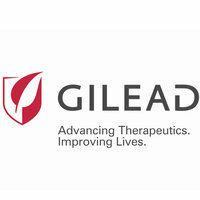 Funded in 1987 by Doctor Michael L Riordan, Gilead Sciences main focus was and still is, antiviral medicines. Riordan was inspired in this direction because he contracted dengue fever while working clinics in the Philippines. When Riordan began the company he started with three main scientific advisers; Peter Dervan of Caltech, Doug Melton of Harvard and Harold Weintraub of the Fred Hutchinson Cancer Research Center. Riordan remained the CEO until 1996. In 1991 they in-licensed a set of nucleotide compounds discovered in European labs that became Viread, one of the most widely used anti-AIDS drugs. Gilead Sciences has an impressive record of performance and earnings over the years that make many envious. Just looking at a few of their acquisitions/mergers since the beginning of the century alone is very impressive. In 1999 they acquired NeXstar and gained their marketable drugs as well as a sales team to help them expand around Europe. Then in 2006 they acquired Corus Pharma Inc. which announced the arrival of Gilead Sciences into the respiratory fields of medicine. The acquisition of Raylo Chemicals in 2006 and Nycomed fr. Atlanta in 2007 gave them two new manufacturing sites to boost production and that boosted profit. Gaining Arresto Biosciences inc in 2011 brought development stage research for fibrotic diseases and cancer. Finally, just this year Gilead acquired Phenex Pharmacuticals for up to $470 million that will bring them treatments revolving around liver diseases. These are just a few examples out of many that illustrate the growth that Gilead is accustomed to making in their field. Each one of these acquisitions brought growth, manufacturing possibilities and profit to them and their shareholders. There is no sign that Gilead is planning on slowing down any when you consider their latest earnings report shows a 98% increase in earnings over the 2013 report, that is $5 billion for the first quarter. They seem to be focusing on the future as their history indicates. Gilead has had many key people work for them over the years, starting with names that are now more recognizable. Riordan recruited Donald Rumsfeld in 1988 to the board of directors followed by Benno C Shmidt Sr., Gordon Moore and George P. Shultz. They tried to get Warren Buffet as an investor and board member but were not successful. The list of current board of directors is fairly impressive as well. 2014 went a long way in making 2015 the year it is starting out to be. There are nineteen marketable products and there has been great development in the management of HIV, especially long term care patients. They also established a foundation in Oncology and continued innovations when it comes to the treatment of liver disease. When you consider they also developed new treatments for hepatitis C and some cancers, it made 2014 a pretty good year.